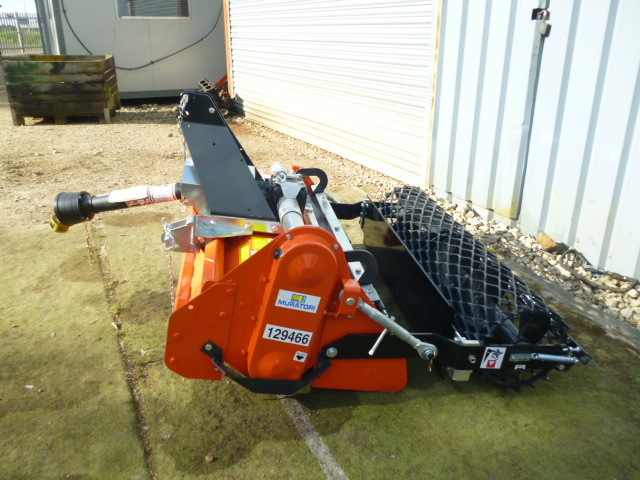 Brief Description: ***BRAND NEW*** MZ4SXL STONEBURIER FOR TRACTORS UP TO 35 HP. 105CM WORKING WIDTH. 3 POINT LINKAGE CAT 1. SIDE CHAIN TRANSMISSION. DEPTH ADJUSTMENT THROUGH LEVELING ROLLER IN EXPANDED METAL. 4 SQUARE BLADES EACH FLANGE. SIDE OFFSET. DRIVE LINE WITH SLIP CLUTCH. More Information: The Muratori MZ4SXL Stone Burier is a high quality machine that performs amongst the best in the industry. Using a 3 point powered linkage, this machine connects to tractors with an engine horse power of up to 35hp. 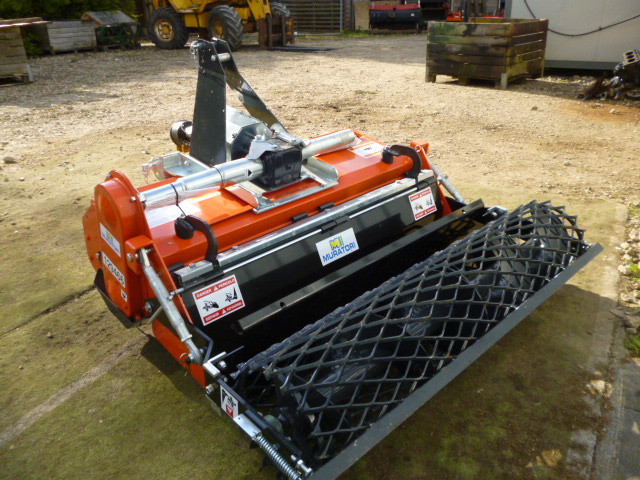 This makes it a mid range piece of kit that is ideal for medium sized commercial jobs. Stoneburiers perform heavy duty rotavations, leaving a smooth and processed top layer of soil. This can then be used as needed for various different outdoor pursuits and purposes. With a working width covering 105cm and adjustable depth settings, this stoneburier can be fine tuned to suite the operator's exact needs. The Muratori MZ4SXL has a side chain transmission and four square blades at each flange. It also features a depth adjustment and drive line with slip clutch.